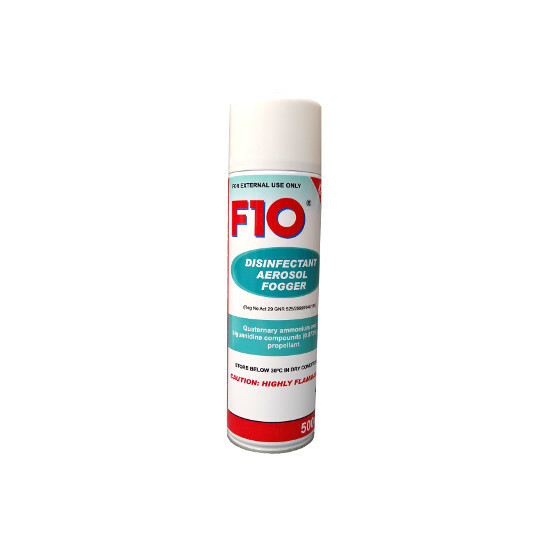 Disinfectant Aerosol Fogger from F10 Products is used for the high level disinfection of consultation rooms, labs, theatres, vehicles and other areas where there may be a risk of airborne contamination. Each canister is suitable to disinfect 35 cubic metres of air space. Re-introduce animals once all the fumes have cleared. There are currently no questions for F10 Products Disinfectant Aerosol Fogger - be the first to ask one!